… longs to be an on-line resource for the Te Pahu community as well as to inform and entertain as many people as it can lure here … . It will be changing occasionally … depending on contributions from as many as possible … so if you’re from Te Pahu please make suggestions via the feedback widget at the bottom right of this page as to what you’d like on the site! thanks. For those of you who have arrived here by chance or accident the map below may help. 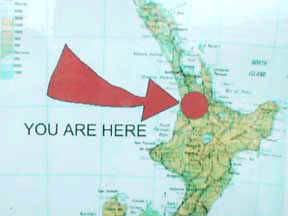 ‘Here’ is in the North Island of New Zealand, which is itself a collection islands, though mainly 2 largish ones only a couple of thousand kilometres to the right and down a bit from Australia. Now, Australia is a slightly larger, drier, landmass with many more mammals and poisonous, vicious reptiles and insects and only a skip and jump from Indonesia and PNG which are…. 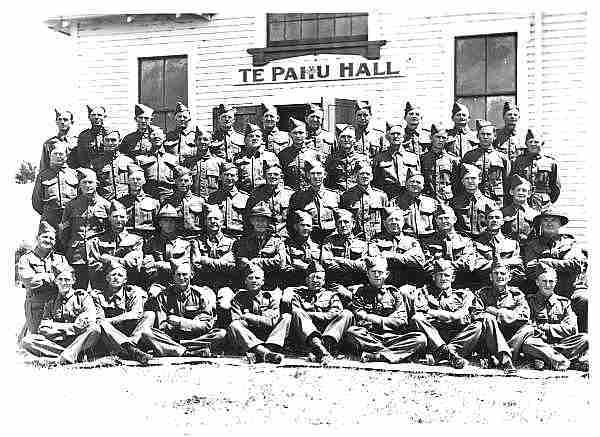 How about following a few links to Te Pahu people related sites; check on or add an event; visit the Karamu Cycling Club page; or see if there’s anything new at the on-line Te Pahu Info Centre, and check out the Toothbrush Fence (as seen of Flight of the Conchords) or the Local History Page. 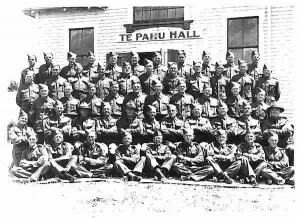 Group portrait of the World War II, Te Pahu Home Guard outside the Te Pahu Hall. 1939.